Bathtime wildlife encounter, Jamala Wildlife Lodge, Canberra. 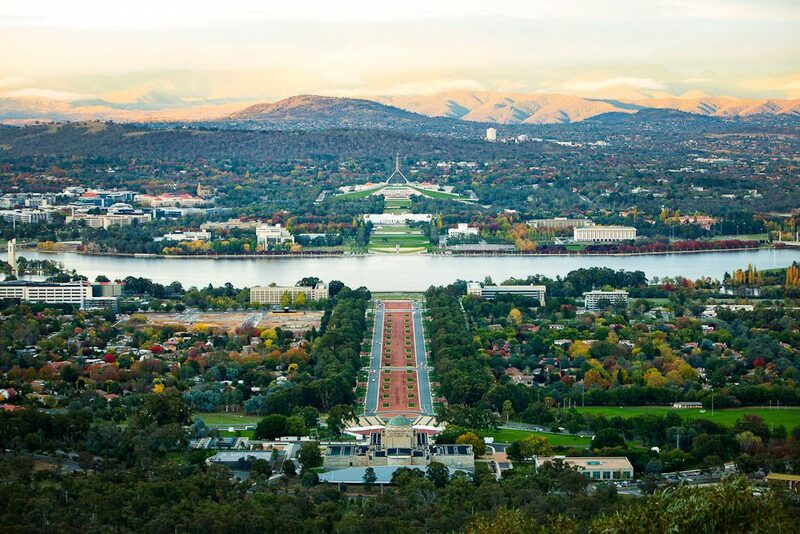 Ten things you just have to do in and around Canberra, throughout the year. Hot air ballooning over Canberra is already a good bucket-list contender but, if you’re looking for the ultimate experience, visit during the Canberra Balloon Spectacular (12–20 March) and book a passenger flight to be up among the vibrant, sometimes fantastical balloons that fill the skies from 7am every day during the event, weather permitting. If it’s your wallet that doesn’t permit, come to the lawns in front of Old Parliament House before sunrise to watch all the balloons inflating and launching – an amazing sight that’s totally free. Or lion. Or giraffe. In fact, there are so many animals you can meet at Canberra’s National Zoo & Aquarium, either one-on-one or in a small group, that the classic zoo experience will never be the same. Have an Animal Encounter with anything from a white lion to a meerkat, or pat and play with the world’s fastest animals with Meet a Cheetah; take the two-hour Zooventure and hand-feed a range of animals behind the scenes; or become a zookeeper for the day in the ultimate Walk on the Wildside tour. 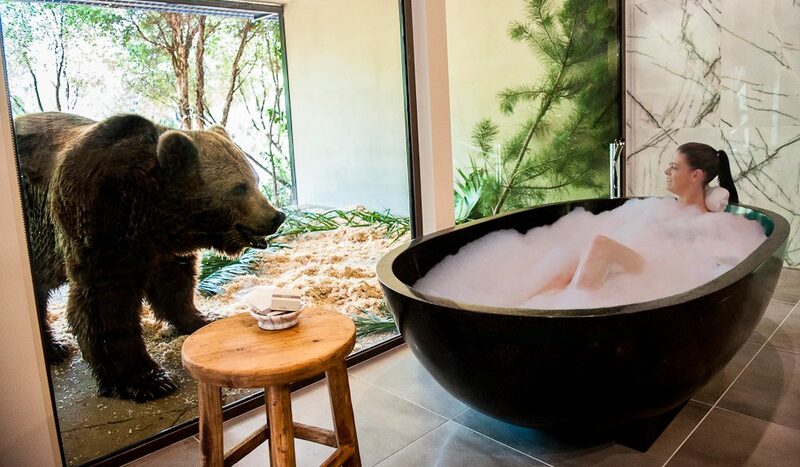 If you’d like to play stare-eyes with a bear from the comfort of your bathtub (through strong glass), stay overnight in their Jamala Wildlife Lodge, winner of our People’s Choice Award for the Best Hotel for Children. A milkshake that makes people travel to Canberra especially – that’s got to be something pretty remarkable. 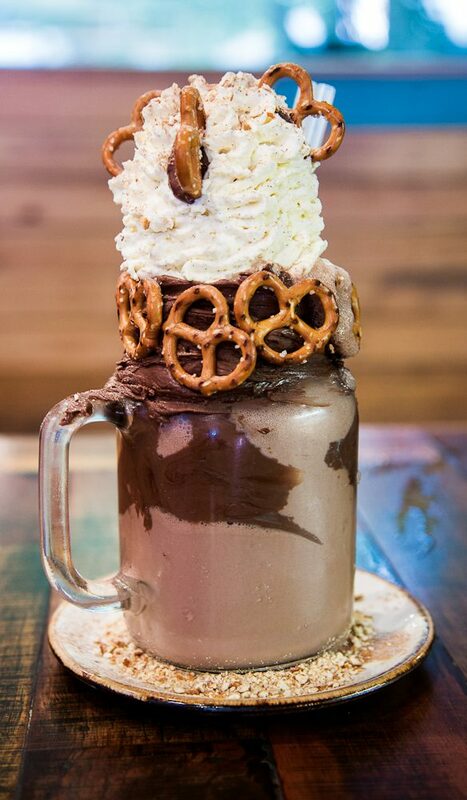 Patissez in Manuka has tapped into a deep need in us all to consume epic concoctions of milkshake, pastry, custard, cream and other second-childhood-inducing treats, all to the tune of $9.50. As much a sight to see as any of Canberra’s other towering edifices. As if seeing Canberra Glassworks artists working the glass right in front of you wasn’t cool enough, you can take a tour that allows you to make your own. Guided by a professional, you’ll use a piping hot kiln to mould glowing glass into amazing shapes and colours. Each Saturday and Sunday, you can sign up to make a paperweight (20 minutes) or a tumbler (40 minutes), and the prices are reasonable, considering the rarity of the experience. 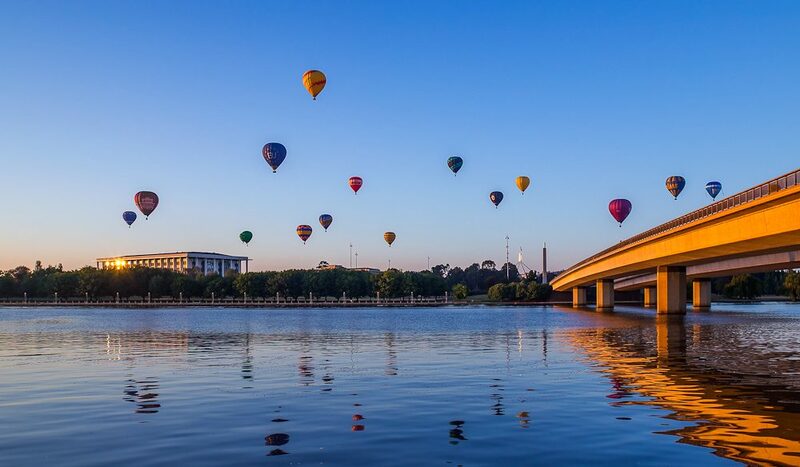 Lake Burley Griffin is not just for gazing at over the rim of a G&T (although we absolutely endorse that, too). Hire a canoe or kayak and you can properly explore Australia’s most famous artificial lake, loosely curving around Capital Hill. For a little more adrenaline, contact Canberra Yacht Club and sign up to join in on club races, usually Wednesday evenings or Sunday afternoons; visitors are welcome, when there’s room. 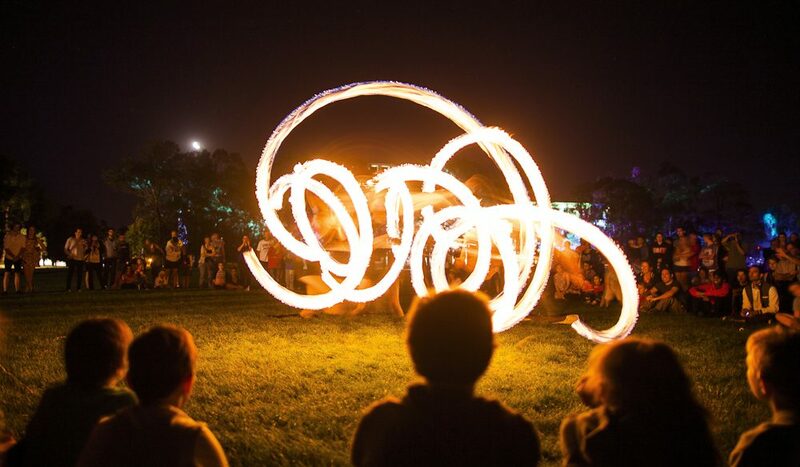 In an explosion of light, music, shows and night noodle markets – yes, we love that bit – the Enlighten festival (4–12 March) brings Canberra’s famous sights and monuments to life after hours. The Parliamentary Triangle becomes known as The Electric Garden, an outdoor entertainment hub with free entry, and the main architectural behemoths of the city are illuminated with artful projections, while other events (rare films, behind-the-scenes tours, stand-up comedy and more) are generally ticketed. In a state of only 390,000 people, the fact that the ACT has 10 chef’s-hatted restaurants seems a little unfair. Address the imbalance by visiting a different award-winning restaurant every night. You could stay for more than a week and still have options left! Choose from: Courgette, eightysix, The Farmhouse Restaurant at Pialligo Estate, Lanterne Rooms, Lilotang, Monster Kitchen and Bar, Ottoman, Temporada, and Water’s Edge, or venture over to Aubergine if only two hats will do. Canberra without Floriade would be like Year 12 without a formal dance. Taking place in September and October, this is the capital at its prettiest, drawing almost half-a-million visitors each spring to see more than a million flowers in full bloom, as well as music, entertainment, the spectacular lights of NightFest and the famous ferris wheel. Combine this with a hot air balloon ride to really get the most from the gardeners’ amazing patterned plantings. Pack your boots, or your bike. There are more than enough slopes to conquer if you’re that way inclined (no pun intended). We talk you through hiking Black Mountain and Mt Ainslie in this issue, but there is also the southerly Red Hill (visit in autumn for its famous colouring), the incredible 360-degree city views from Dairy Farmers Hill in the National Arboretum, and the easy trail of the Mt Taylor Zig Zag – among so many others. See VisitCanberra for more bucket list options. And don’t forget the Canberra Craft Beer and Cider Festival on 19 March. Canberra has come on in leaps and bounds on the food front – as your Canberra feature points out – but it seems that the national capital’s denizens love their craft beer and this is one of the best brew Fests in Australia. Actually, I think the ciders are the star performers, but either way, it provides another reason to check into Canberra.